Fans can’t get enough of the hot new werewolf series, SHE WOLF by Rich Tomasso (DARK CORRIDOR). Image Comics is pleased to announce that the critically-acclaimed SHE WOLF #1 will be rushed back to print in order to keep up with the increasing customer demand. 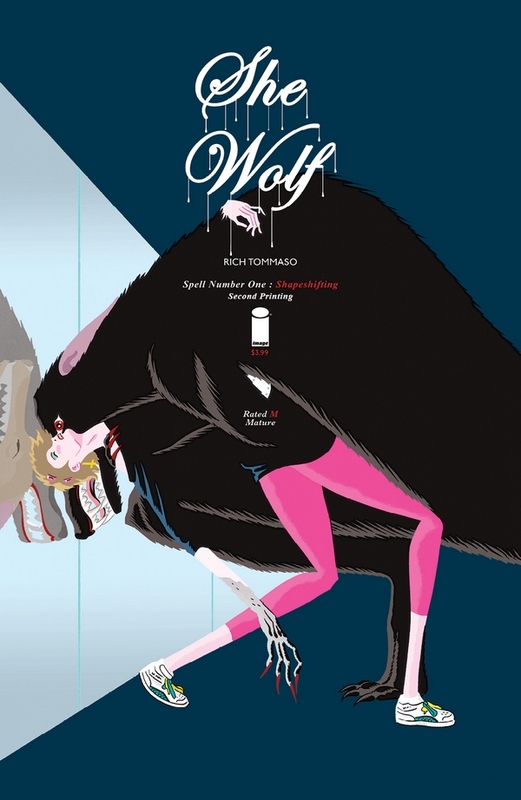 SHE WOLF #1 remains available for purchase across all digital platforms, including the Image Comics website (imagecomics.com), the official Image Comics iOS app, Comixology’s website (comixology.com), iOS, Android, and Google Play. SHE WOLF #1, 2nd printing (Diamond Code MAY168865) hits stores on Wednesday, July 27th, 2016. The final order cutoff deadline for retailers is Monday, July 4th, 2016. SHE WOLF #2 (Diamond Code MAY160656) hits stores on Wednesday, July 20th, 2016.